So where did it all begin? Synth Australia has an interesting past. Your interest might be in the Roland sound of Australian Eighties New Wave or the Seventies Fairlight revolution. Maybe you go further back, to the Sixties studio experiments in Doctor Who which were partly down to the brilliant vision of a British-Australian composer . Melbourne is now hosting an exhibition on the latter part of the synth story, until September 2018. Synthesizers: Sound of the Future tells the story of this forgotten period in the Grainger Museum’s history. 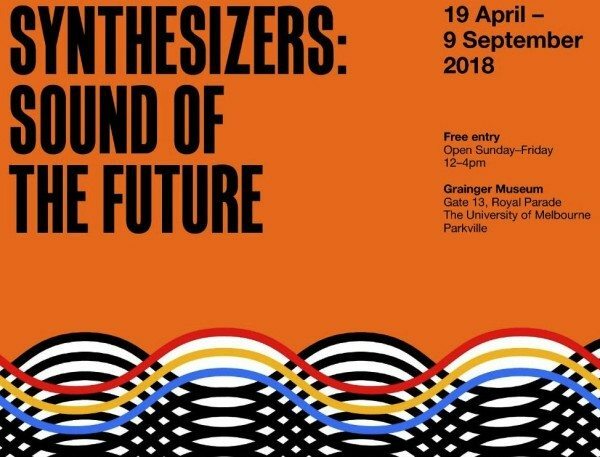 The exhibition brings together, for the first time, the suite of early EMS instruments – many of which were in the Grainger Museum in the period – on loan from the Melbourne Electronic Sound Studio (MESS). Tristam Cary, part of the Sixties Australian sound experiment, is also particularly well known for his film and television music. He wrote music for the science fiction television series Doctor Who (including the first Dalek story, as well as the score for the Ealing comedy The Ladykillers (1955). Later film scores included Quatermass and the Pit (1967) and Blood from the Mummy’s Tomb (1971), both for Hammer. The Quietus – Tristram Cary became the first director of Peter Zinoviev’s Electronic Music Studios upon its foundation in 1969. EMS was the birthplace of the VCS-3, the very first British-designed synthesizer, used by the BBC Radiophonic Workshop, White Noise, Pink Floyd, Brian Eno, Pete Townsend, Hawkwind, Gong, Klaus Schulze, Georgio Moroder, and Kraftwerk, among many others. 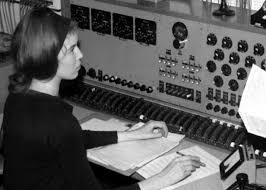 His work with Delia Derbyshire (below) on Doctor Who is well-known. 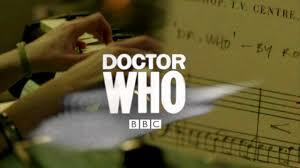 The terror of the Daleks is associated by many fans with the Cary/Derbyshire soundtracks. You can also find the history of Synth Australia at the Museum of Applied Arts and Sciences, if you want to know more about the country’s pioneering musicians and developers. ABC-TV has also saved some crucial clips. This is Ian ‘Molly’ Meldrum talking about the cutting-edge Fairlight CMI (Computer Musical Instrument) on Countdown, April 10th 1983 with music programmed and performed by Mars Lasar. 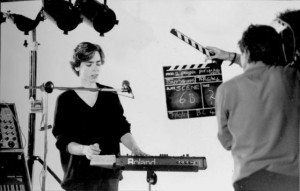 The sound of the Eighties in Australian music was also the sound of Essendon Airport – and Andrew Duffield with his Roland keyboard in The Models. The sound of the future – as it was known from 1960-1990 – is now the sound of the past, but the online and real-world exhibitions at the MAAS and The Grainger Museum now finally tell that story. The rest is on YouTube!